Better sleep = A Better Life. It is not just about how much you sleep, but also how well, and how deeply you rest. You may not know it, but poor sleep quality impacts every area of your life. Getting enough high quality sleep is vital to your health and wellness at every life stage. 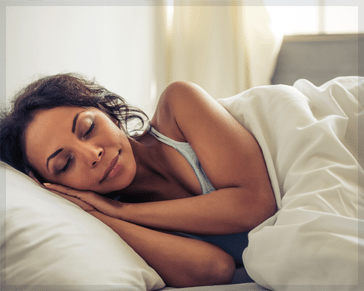 The specially trained staff at Sleep Lab of Columbia, under the direction of Dr. Joseph N. Gabriel, is dedicated to evaluating and treating patients with sleep-disorders and sleep-related problems, to improve your sleep and overall health. Sleep Lab of Columbia is accredited by the American Academy of Sleep Medicine, and Dr. Gabriel has the distinction of being one of the few physicians in the Midlands certified by the American Board of Sleep Medicine. ARE YOU AT RISK FOR SLEEP APNEA? DO YOU NEED A SLEEP STUDY? TAKE THE FREE EPWORTH SLEEPINESS SCALE TEST. Ongoing sleep deficiency can raise your risk for chronic health problems. Obstructive Sleep Apnea (OSA) is a serious, potentially life-threatening condition that affects 18 million Americans (20% of the population). Snoring and other sleep-related problems include insomnia, parasomnias, narcolepsy, restless leg syndrome, and sleep/wake rhythm disorders. Sleep disorders are diagnosed through overnight sleep studies conducted in rooms specially equipped to record your sleep activity. The bedrooms in The Sleep Lab are private and comfortable as well as technologically advanced, allowing your sleep activity to be monitored throughout the night. Getting a good night’s sleep can make a remarkable difference in your life. Call (803) 732-2433 today to learn more. To see if a sleep study is right for you, contact Tracey Gray at (803) 732-2433 or sleeplab@scinternalmedicine.com.